1. 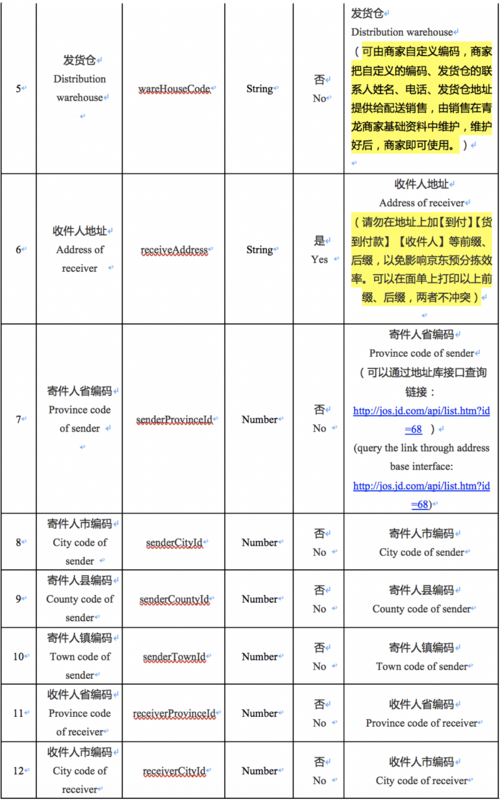 “Distribution warehouse” and “province, city of sender” cannot be blank at the same time, otherwise it will not pass the check. 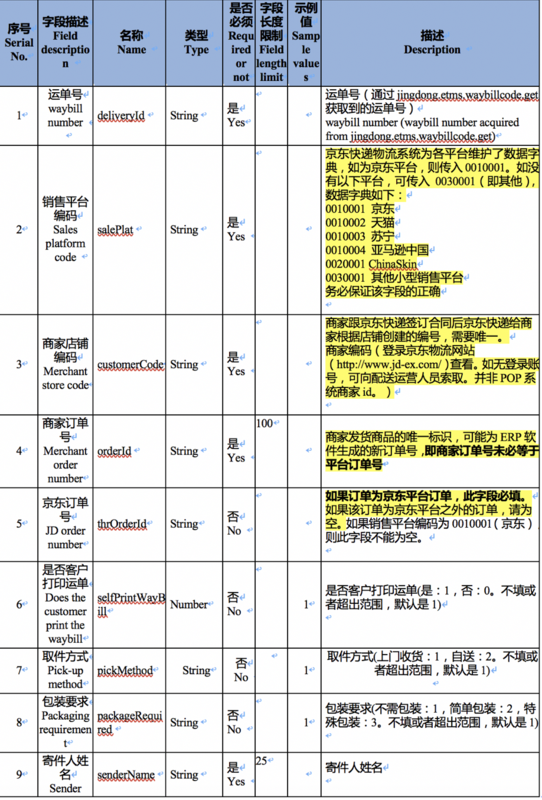 Qinglong can position the source sort center through distribution warehouse. 1. 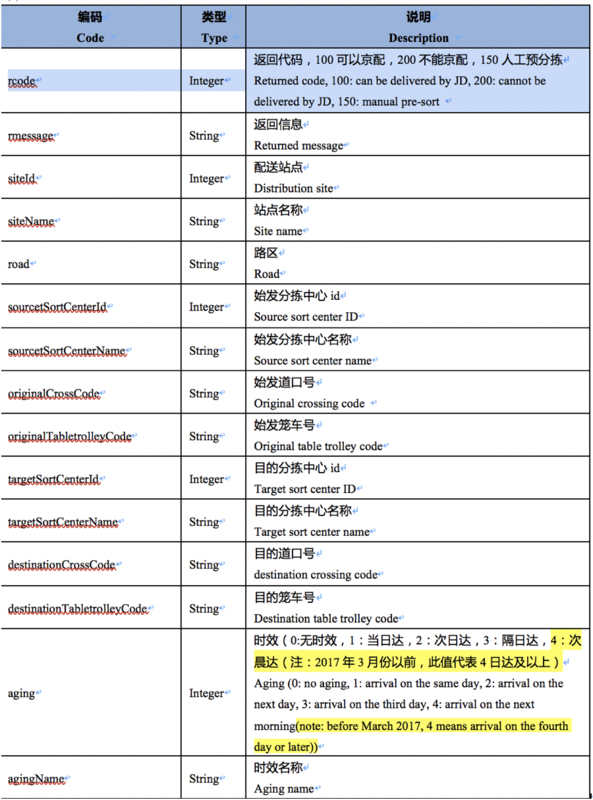 Detailed description of “rcode” returned code. 100: can be delivered by JD. 200: cannot be delivered by JD. 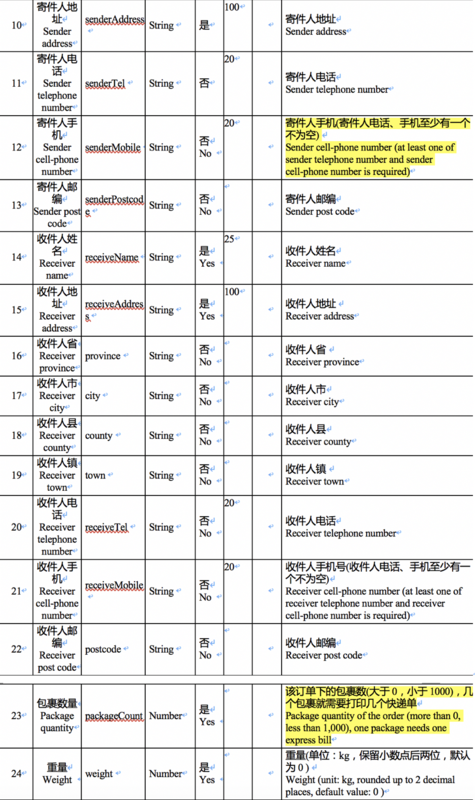 It is recommended to limit the use of JD express through the shipment system when receiving 200. 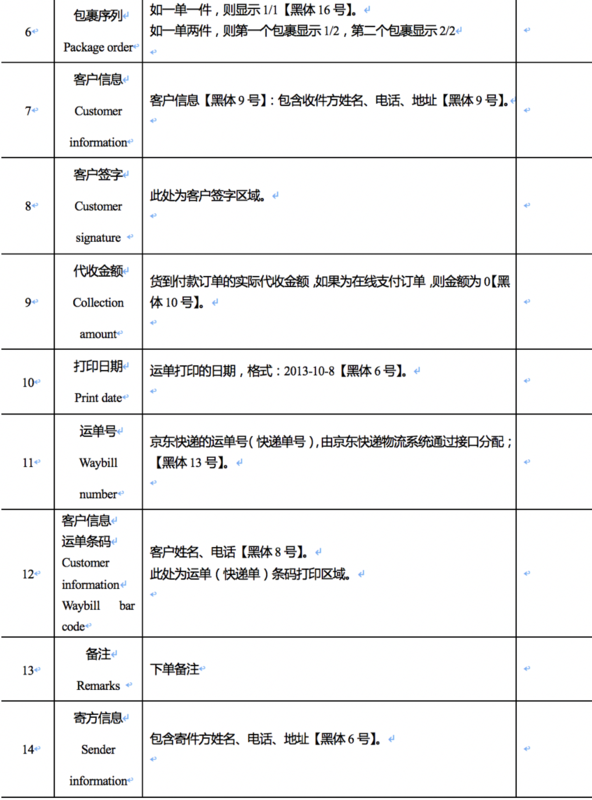 3) The weight, volume of merchants’ packages are the reference for order information. 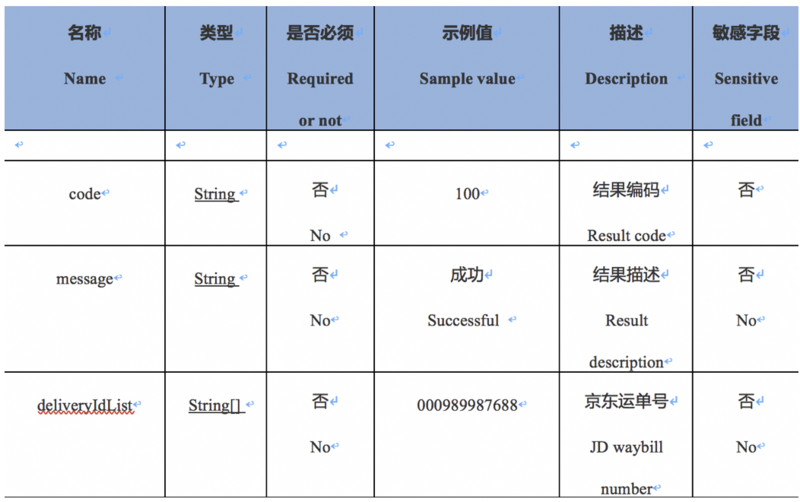 The settlement of actual freight is based on the weight measured by JD. 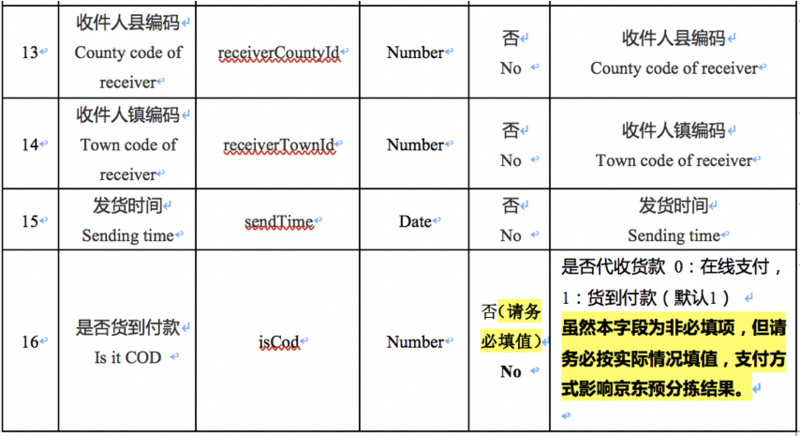 3) The merchant can call this interface to manifest JD express logistics tracking information. 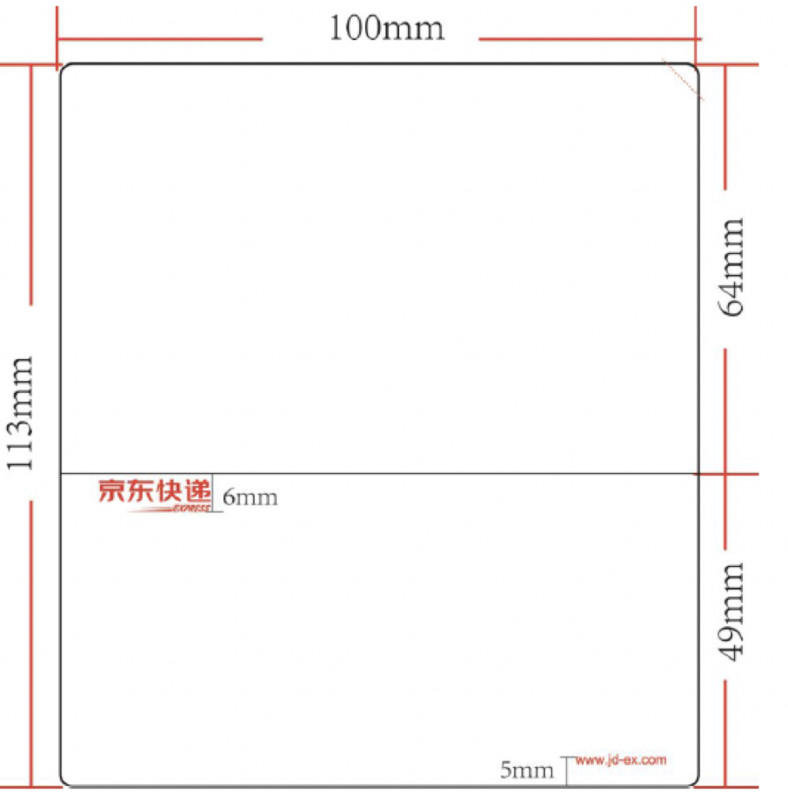 The paper express bill is shown above, blank thermo-sensitive label paper with JD express logo. 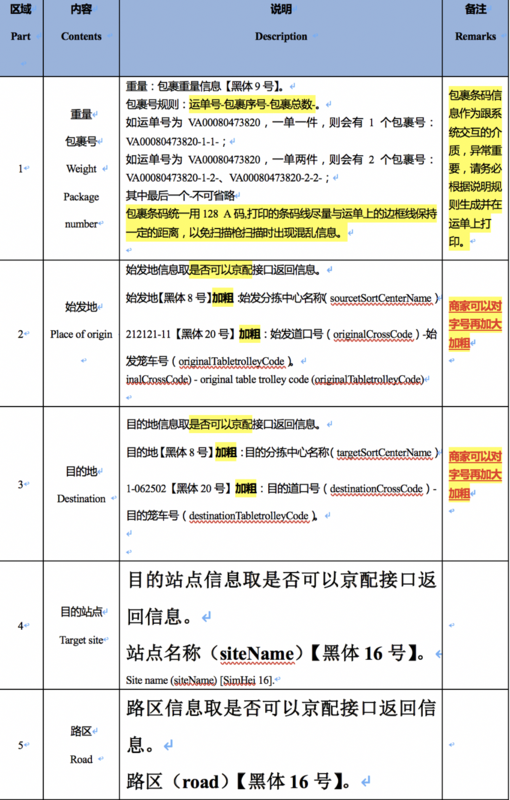 Frameline specification of print template is shown above, unit: cm. 1. What’s the relationship between JD express, Jingbangda, and Qinglong? A: Both JD express and Jingbangda refer to JD distribution, one meaning, two names. 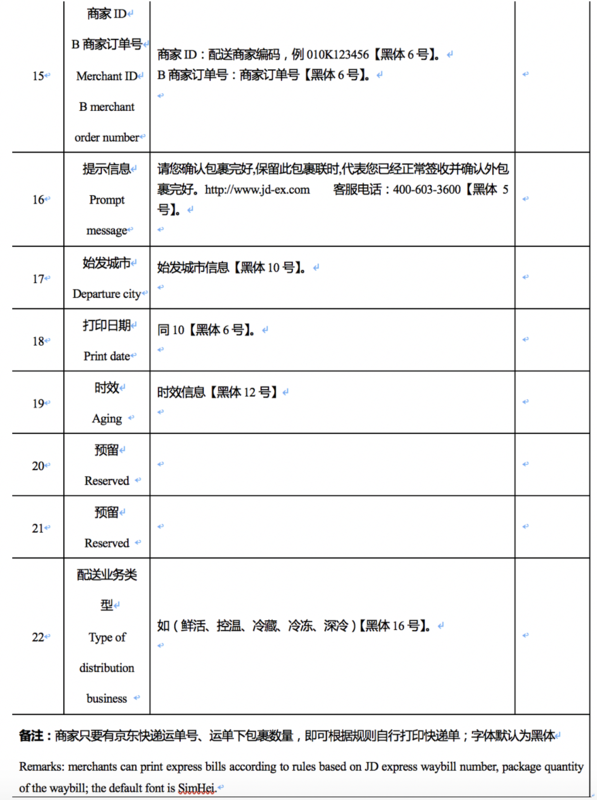 Qinglong system refers to the logistics information system of JD express. 2. 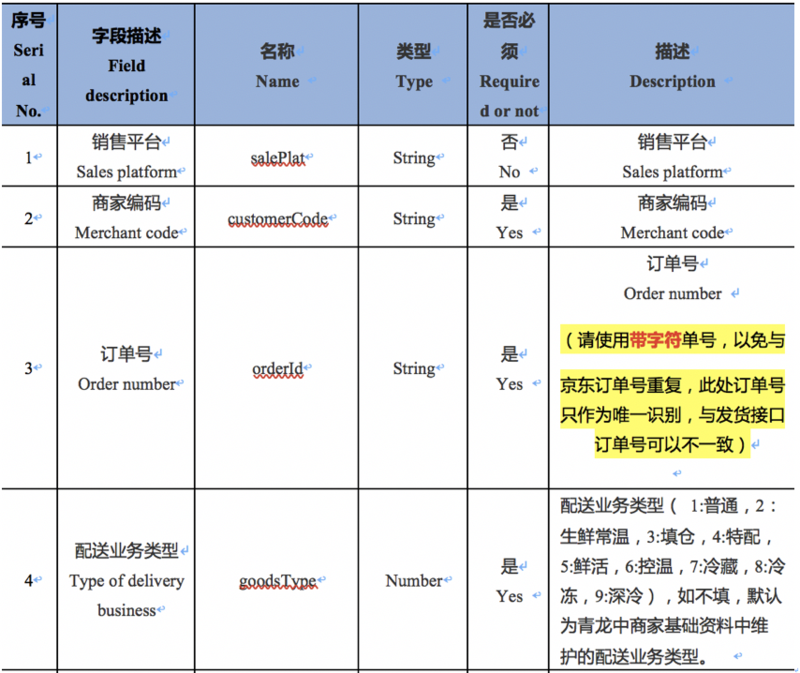 After sending out the goods through the system, can the merchant send out again after modifying order information (such as the quantity of packages)? 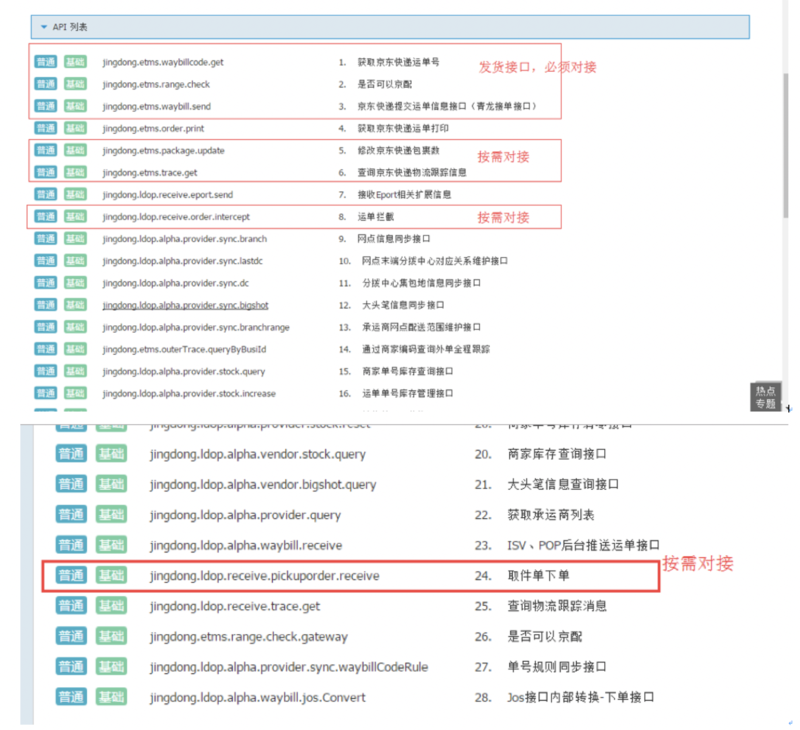 A: At present, one interface to modify package quantity is provided, https://jos.jd.com/api/detail.htm?apiName=jingdong.etms.package.update&id=712. See interface description for parameter pass-by-value. 3. 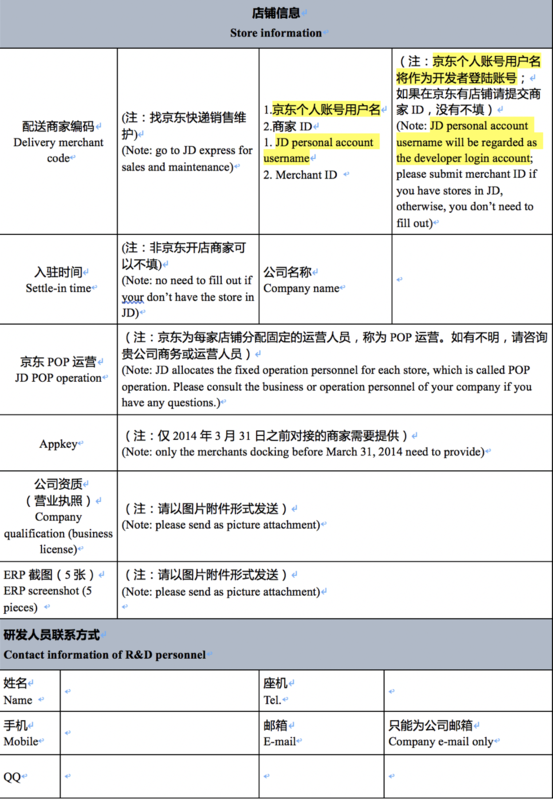 What does the merchant need to send goods to JD through the third-party ERP software? 4. What is “merchant code”when docking and calling interface? 5. How to transfer the information such as weight, volume in the interface when docking? A: The information which merchants transfer to distribution system, such as weight, volume is only for reference and will not be the basis for settlement of actual freight. After receiving, the weight will be measured again. 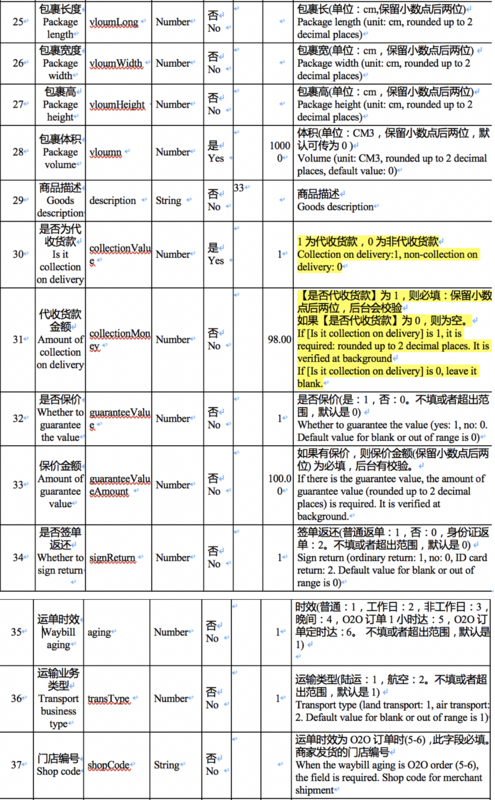 If there is no information of weight or volume, the unified default values can be transferred, however, the value shall not be too large. 6. 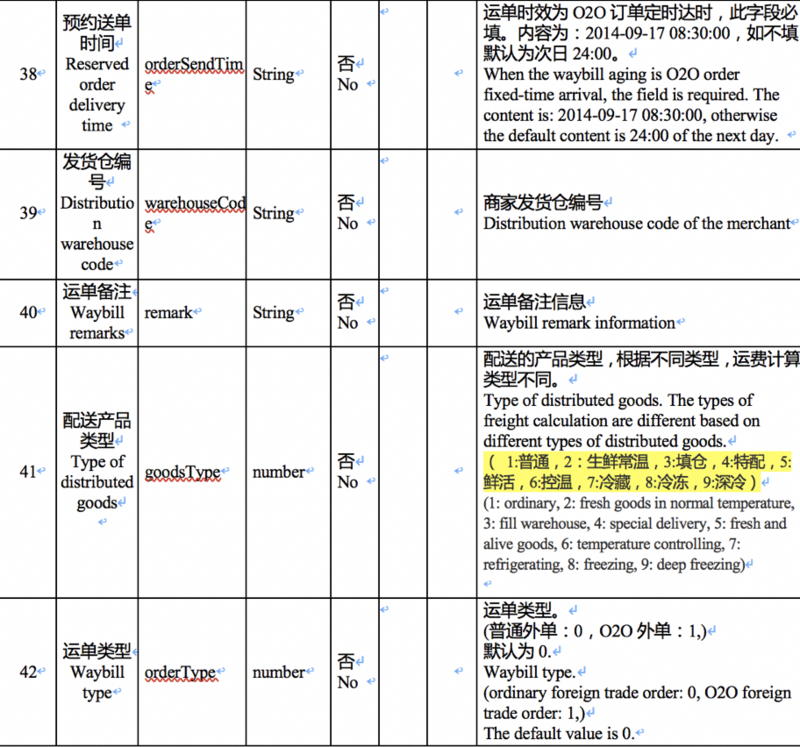 If the merchants use JD background to operate delivery from warehouse for SOP order, can they use ERP software to print JD waybill for delivery? 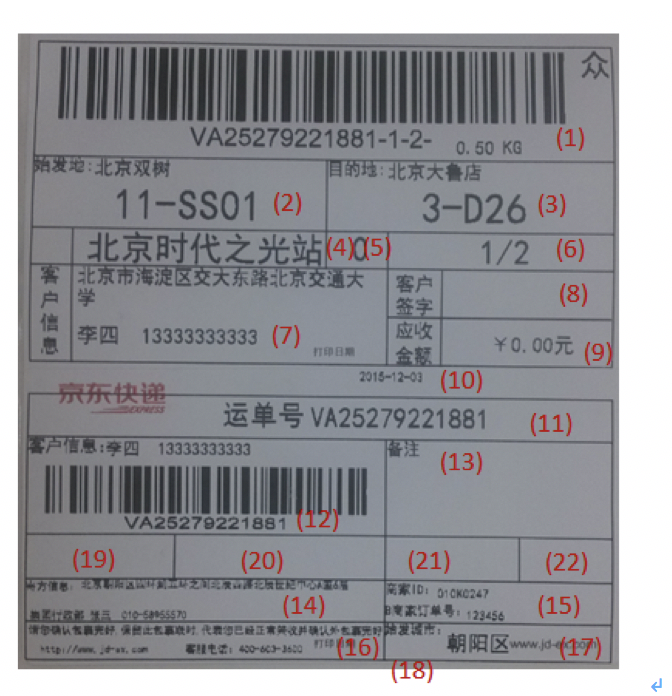 A: No, if you do so, the waybill number filled in when delivering from warehouse is inconsistent with the printed pasted waybill number. 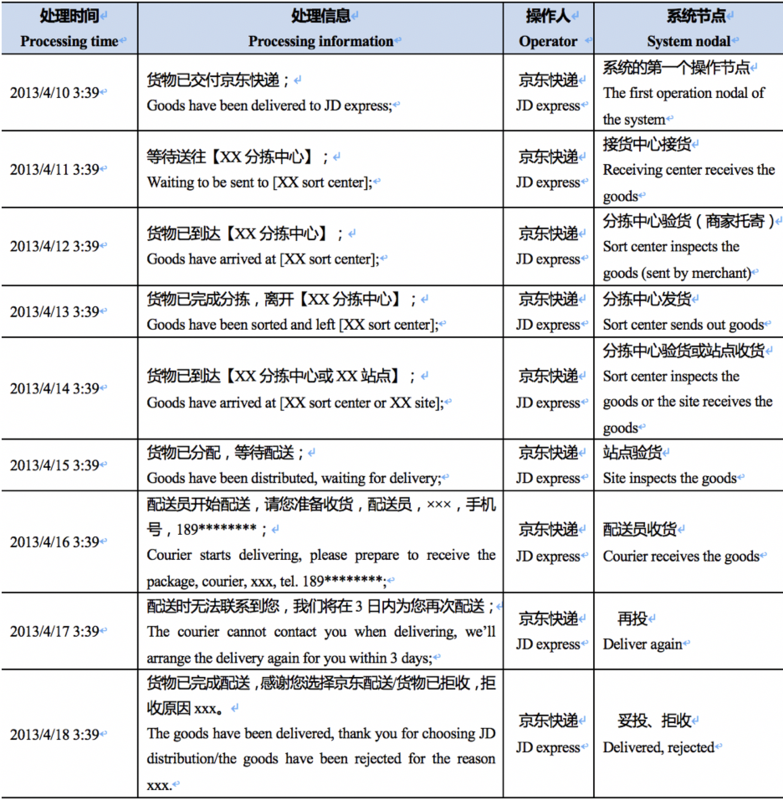 The abnormality will cause the delay in customer’s receiving, so don’t operate like this. 7. Can the express bill be printed in advance? A: Merchants can print the express bill at any time as long as they get the order information, such as sender, receiver, and JD waybill number.